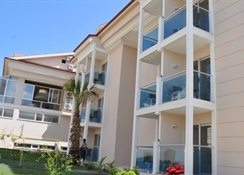 The Aes Club Hotel is a luxury, family-friendly hotel located in Ovacik, Dalaman, in Turkey. The hotel features a lavishly large outdoor swimming pool catering to both adults and children. There are 138 aesthetically done guestrooms spread over four blocks. 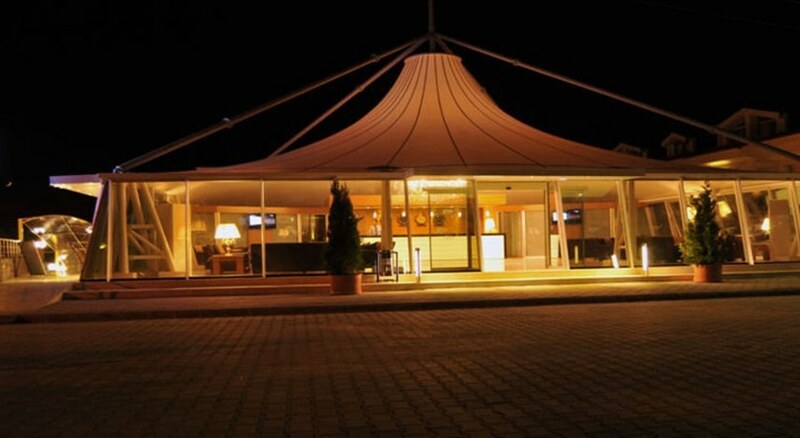 The onsite restaurant and a bar serve a wide range of delicacies along with alcoholic and non-alcoholic beverages. To ensure that the guests have a great stay at a reasonable price, the Aes Club Hotel has an all-inclusive policy on offer. The property also has an onsite spa and wellness centre. 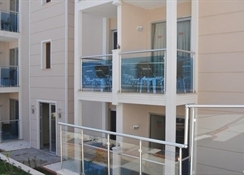 The location of the hotel makes it an ideal destination for someone looking to spend a quality holiday in a Turkey beach town. The nearest beach is 4.5km away from the hotel. 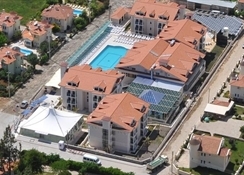 The Aes Club Hotel is located 55km from the Dalaman Airport. The nearest beach is 4.5km away. The towns of Fethiye and is Oludeniz are 11.5km and 5.3km respectively from the hotel. Tourist attractions and local landmarks such as the Lycian Way Trail, Belcekiz Beach, Oludeniz Nature Reserve and Beach, Babadag Mountain, Telmessos Rock Tombs, Kayakoy Ghost Town, Fethiye Museum, Fethiye Castle and Fethiye stadium are within a 6km radius from the hotel. 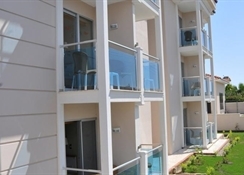 Also, the Fethiye Marina, Ece Saray Marina, Butterfly Valley, Bird sanctuary, Aquapark, Calis Beach and Kabak Koyu are located within a range of 10km from the hotel complex. The Aes Club Hotel has 138 stylishly-decorated guestrooms featuring a blend of both modern and contemporary architecture. The guestrooms are spread over four blocks. The guestrooms are categorised into different types based on space, number of occupants and amenities. They come equipped with facilities and amenities such as air conditioning unit, TV, bed lamp, telephone, shower and/or bathtub, hairdryer, bed linen, bath linen, essential toiletries, etc. The Aes Club Hotel also has restaurants and a bar that serve all day. This all-inclusive hotel allows guests to enjoy their holiday without spending exorbitantly. The restaurant serves a wide range of local Turkish and international delicacies, while the bar serves local wines, beers, cocktails, alcoholic and non-alcoholic beverages. Alternatively, guests can also try local restaurants and bars in the beautiful towns of Fethiye and Oludeniz. The Aes Club Hotel’s outdoor pool is ideal for both adults and children. The pool area has lounge chairs and sun umbrellas for guests to relax and unwind. The pool is an awesome spot for guests’ recreation and relaxation. The entertainment staff organises evening shows regularly for the guests. The hotel also has facilities like darts, table tennis, billiards, among others. For children, there’s a playground and a game room. For those who like exercising, there is an onsite gym and cycling tours too. Guests can hire a rental car and try sightseeing or head to the onsite spa and wellness centre for relaxing massages.